Hurricane Matthew has gotten me thinking. This storm was a massive one. South Carolina declared a state of emergency multiple days before the storm was even to be near South Carolina. What do you do when the weather will not cooperate with your vacation? 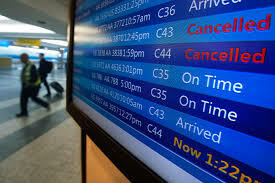 You should check with your airline to make sure the flight is not cancelled. Check the airline website to see if anything is posted about any flights or any notices. You may want to think about travel insurance, some airlines will try to move you to another flight, but some will not refund your money back. See what the insurance offers for hurricanes refunds. You may want to download some weather apps that will show you the weather conditions to your destination. Listen to local weather reports. If called to evacuate, leave as soon as possible. 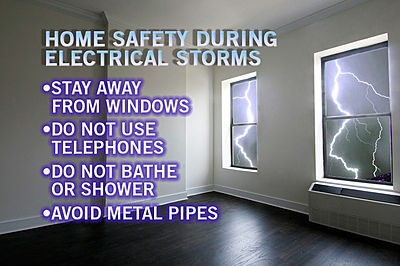 Try to find a windowless room, IE the bathroom, and stay in there until the storm passes. Make sure you have plenty of food and water. If there are any power lines down, notify the utility company. The best thing is to pay attention to the weather reports and your airline information before your vacation. You can always change your mind and not go. If you decide to travel use your inner voice. If it is not comfortable for you, please do not go anywhere. Storms are unpredictable. Some might blow over and not be a complication to you. But the other storms are the ones you have to worry about. Try to prepare the best way you can.